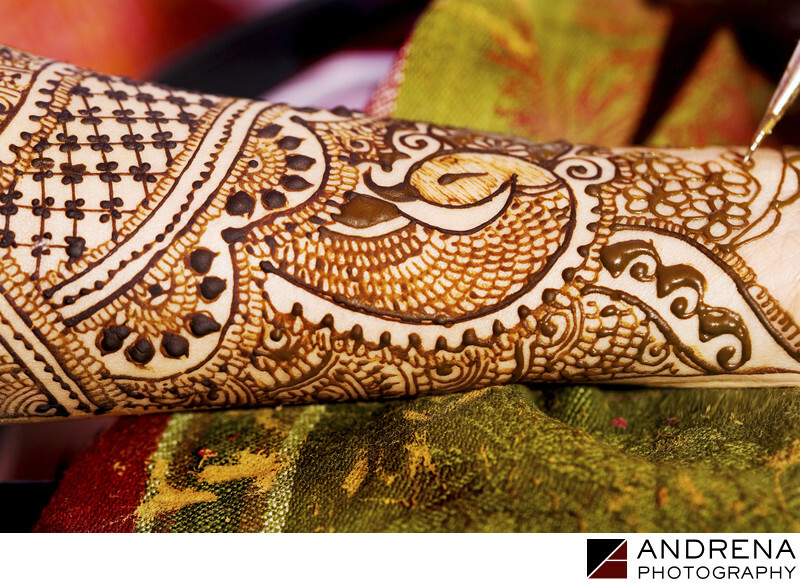 I love the intricacy of the mendhi or mehendi designs worn by Indian brides for their weddings. Mendhi artists all have differing styles, but the depth of detail that you see from the mendhi artists in India is truly astonishing. I love this Indian bride's design, which features a beautiful bird in the middle of an intricate series of varying patterns. The backwards turn in the bird's long beck adds a sense of elegance, as you might see in a swan about to tuck its head underneath its wing. Indian wedding mendhi photographed in Udaipur, India.